Abd al-Wahid ibn Ashir rahimullah mentions that there are two types of extremisms which are both bad. One is the extremism is in islam and the other is in dunya. 1) Developing suicidal thoughts – feeling no need or love to live. The prophet (saw) said this is will happen near the end of time when people will feel it is very difficult to live in a time of fitna. Basically, the practicing people become deluded many times as they think the world will end so they leave the dunya, begin to live in jungles as they see that there is no need to live since the world is going to hell anyway. 2) Not treating a person with dignity and respect. This happens because of a person is trying to become to much rigid in their attitudes/life. – Since they begin to see things with disgust and grow to despise everything regarding the dunya. Making strict and harsh judgements on people, looking at people with contempt and hatred. – however, the deen should have made a person moderate and a considerate person. When anyone meets him/her they should feel peace. Harshness here does not mean that when someone says shave your beard. You say I will, just because you don’t want to come across as being harsh. No, what is meant here is hardness in character. That you don’t become a person who if another person wants to talk to you, they feel as you come across as being very harsh and rigid. 3) feeling very weak or fatigue. – due to extreme deeds and optional acts. 4) becoming ill frequently due to extreme optional acts – one is not taking care if his daily needs are being fulfilled or not. The individual ceases to give the rights to the body, the family, etc which is causing them to be upset with this person, As he has become very reserved and doesn’t talk etc. 5) becoming depressed that islam is being dominated. So this leads you to go and kill innocent people. – This is basically they are trying to take out their depression out on others. – People who are seeing the signs of the above happening. They should abandon the optional deeds, and even mustahbats amals (deeds). If anyone is seeing they are leading this way then the individual should focus on the obligatory instructions of islam and the wajibaats. This will enable a person to not leave islam completely. As at times when a person becomes extreme he can end up leaving islam completely becuase of the overwelming burden of commands. If anyone has gone the other way – living and loving life to much. Then a person can become to lazed and again be lead astray by the devil. What the shaitan does is, if a person is practicing islam he (the devil) makes a person go to the extreme which makes him eventually leave islam. Or, the second thing he does is makes a person completely deluded in the dunya. Both ways leading the person to hell! People who see they are in this state should start to practice islam as this will enable one to slowly bring in islam step at a time. As little by little of practicing islam will enable you to bring in a balance. Rather than going extreme in islam by trying to do everything (Inc the optional aspects) and then leaving it again. Bring in a gradual implementation of islam. 10) wanting prestige and honour. 11) wanting to attain the stations of praiseworthiness and greatness. – only Allah will give you this and not the creation of Allah. They cannot do anything without the help of Allah. So do not become the slaves of the thoughts of people as to “what will this and that person say, if I dress like this”. Become concerned with what will Allah and his beloved think about me and not anyone else. There are two ways of thinking. – and what will the beloved messenger (saw) etc think. 12) feeling upset and bad about the criticisms of people. – Never be afraid of criticism of people – they cannot do anything except without the power of Allah. ….17) forgetting ones own faults and only focusing and criticising others. Now, Abd al-Wahid ibn Ashir rahimullah says root of all these ills/ evils is loving to lead.. Leading others, having the views that the whole world is and should revolving around me. You must have the view of a ‘Allah centric view’ – viewing the world as how Allah wants us to be and see. 2) and the love of dunya is the two root evils from which all the other evils of the hearts emanate from. One final crucial piece of information we must keep in mind is, by our own amals we will not reach the pleasure of Allah. It will be done by Allah (swt) himself. He will facilitate the transition. We do what we are told to do and not try and understand what we cannot do. We only can do our part and then wait for the rest to be done by Allah. 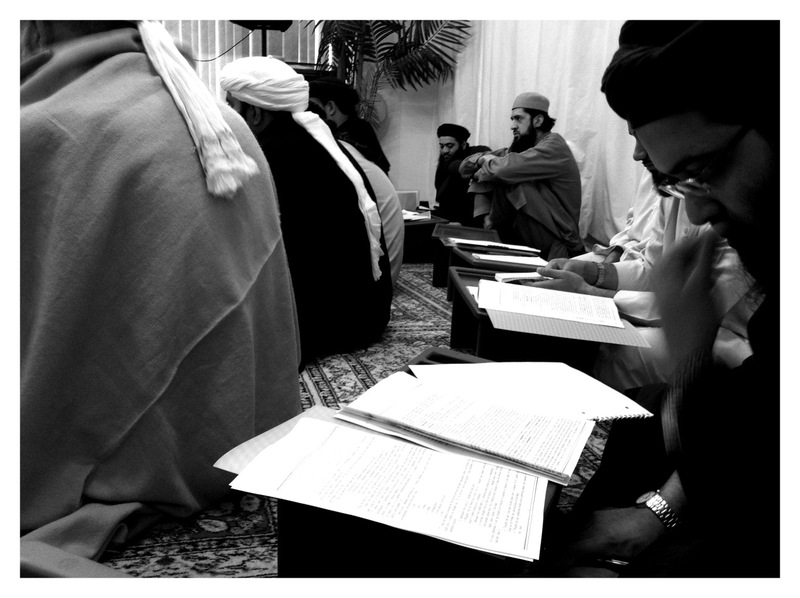 Now how does one find a true shaykh to study under? 3) he must know the path of Allah. Something which he himself has travelled upon. 2) then ask Allah to guide you to a shaykh who will take you to Allah. 3) Read abundantly durood sharif.